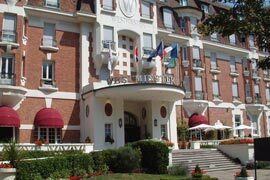 Largest seaside town in the Pas de Calais renowned for its 45 holes of golf at the club which has welcomed the British golfer for more than a century. 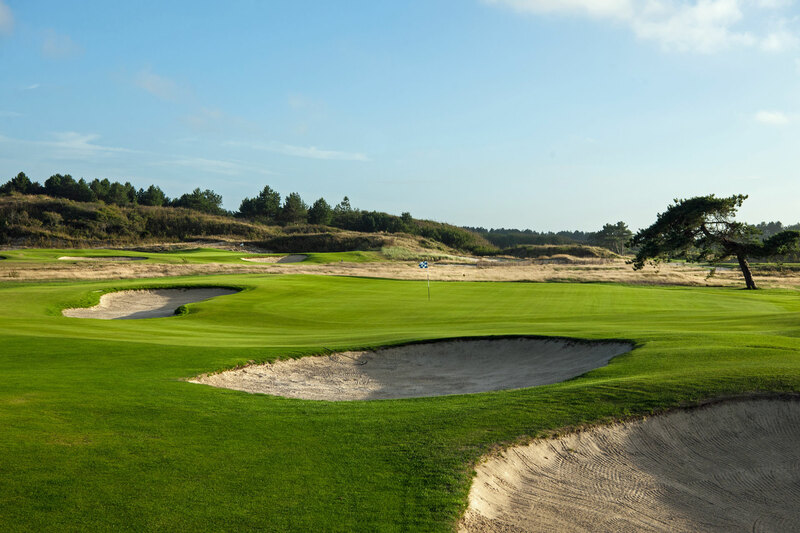 Two beautiful 18 holes within pines and dunes, combine to delight our visitors to this natural coastal destination. 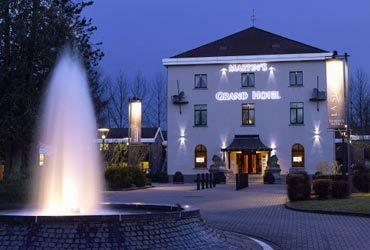 Choose from 3 hotels close to the golf and other leisure activities. 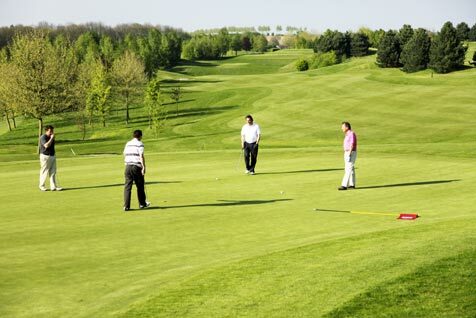 Within a short drive of Waterloo’s quality hotels you have access to beautiful golf courses; well manicured and a variety of parkland layouts. 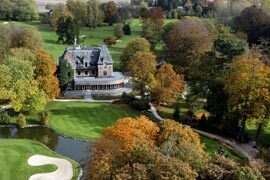 With its Grande Place, Mons offers a lively small city centre for the evenings, with great golf on offer very nearby. Fantastic places to visit by the coast, inland or near city centre. Golf courses to experience picked by us, the best in each area. 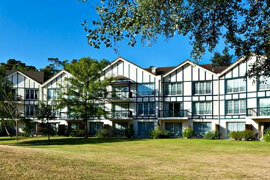 Golf inclusive short break, half board and choice of 3 Belgian courses Also available in JULY & AUGUST at offer price. Tremendous value! (*) Price per person during 2018 Winter/early Spring AND July and August. 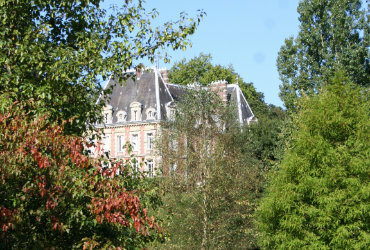 Great Value stay and play in Normandy Chateau location, with unlimited golf. Enjoy courses at their summer best, and less busy hotels and restaurants. (*) Price per person during 2018 summer season. 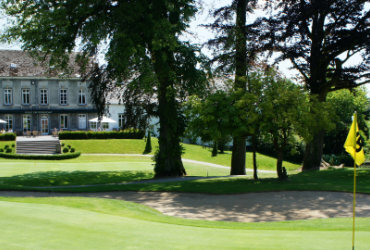 Golf at Ch Bawette, Enghien & Pierpont. 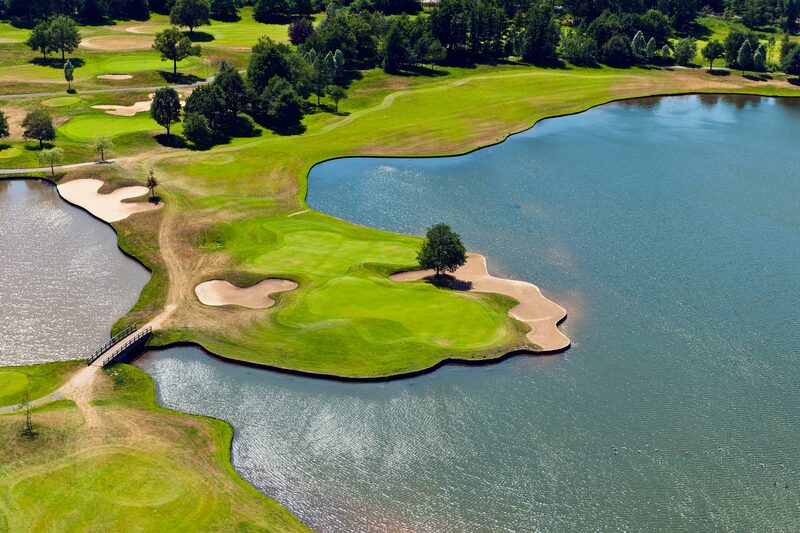 Since 1994, we have been arranging golf breaks to the best golf destinations in France. 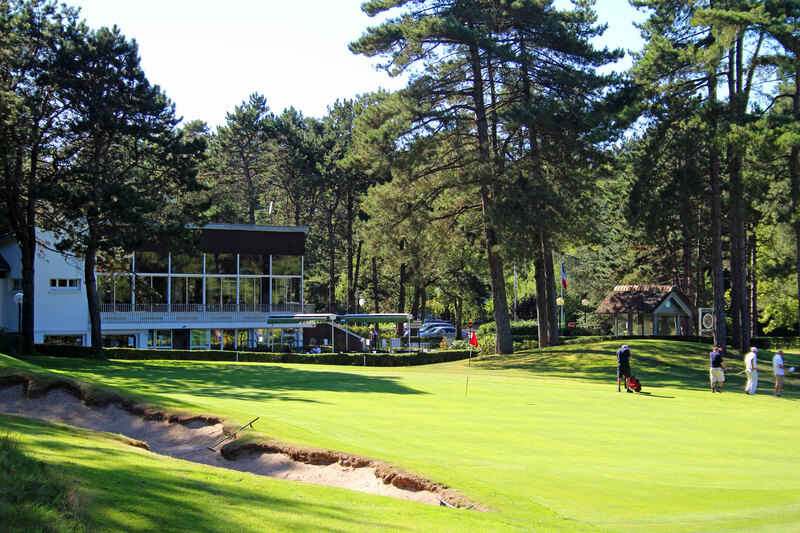 Just across the Channel, in Northern France and Belgium, golfers have a great choice of venues for a golfing getaway. Whether you are looking for a weekend break, a few days midweek with your club mates, or a longer stay, we at Fields Fairway are here to help you choose your ideal destination. 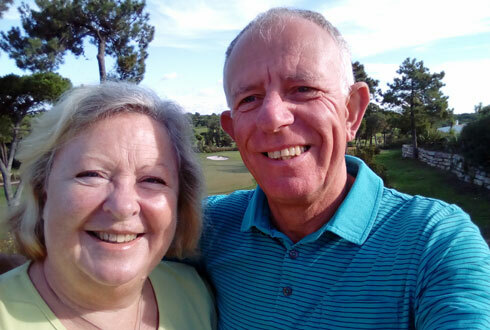 Fields Fairway is a golf breaks only travel organiser, owned, managed and staffed by Alan and Susan Field. We offer specialist advice and travel-inclusive golf breaks to the near continent…easy to reach by car in just a few hours. We book your hotel, golf green fees and Channel crossing, and sell you a ‘package’ break at very competitive prices. You can leave the UK with peace of mind, knowing everything is in place for your perfect golf holiday. Your holiday is financially secure, too…which is so important to anyone…but especially for golfers organising group trips. Your holiday is protected. 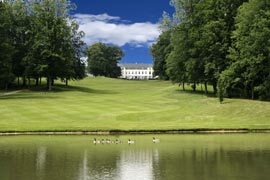 Each year, we send UK golfers to the most regularly visited golf destinations in France and Belgium, and more especially to those lovely, unspoiled areas where you will find several courses within easy reach of your selected hotel. 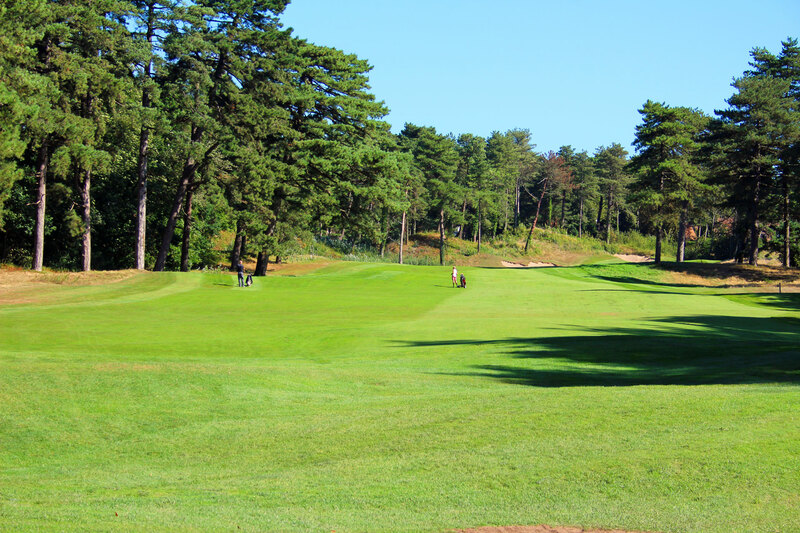 We originally moved to the Hardelot area in 1992 and over the years have gained an incomparable wealth of experience of the Pas de Calais region, where we lived, worked and played our golf... we also specialise in a few other areas of France where we find the golf is equally appealing. Being close neighbours enabled us to make regular trips into Belgium too. Now returned to the UK, we still travel regularly to visit, and play at, our recommended destinations. We also take account of all our customers’ feedback, from each trip. We are very well informed about all the courses and places to stay in the various easy to reach towns and cities. repatriation of customers to the UK or their home country as may be applicable. Traced out in the 1930s, brought right up to date by recent modernisation and tree removal. Description: Mature course, deep bunkers . Recent alterations including reshaping of some greens and bunkers and reducing the number of trees has brought a more modern feel to the course. Our view: Tends to be the popular choice as is a fair test for all. 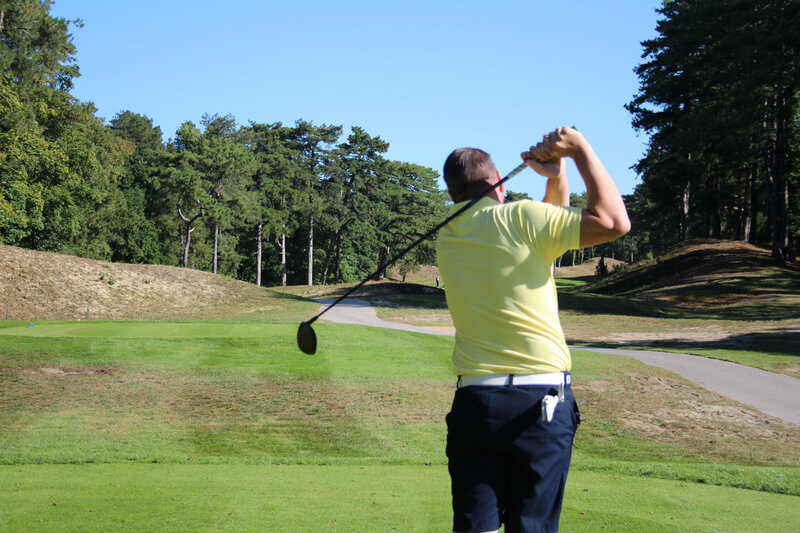 Is therefore always relatively busy and we recommend an early tee time, for maximum enjoyment. The management has introduced a more eco-friendly style of course maintenance, using less water and organic fertilisers. A Colt classic, now reflecting his original design and intention for this links challenge. Description: Recent layout changes have reverted to the full Colt design. Many trees and scrub now gone, making the course more of a true links. The first tee is away from the clubhouse, access being by buggy path, or by car to a separate car park, nearby. Facilities: Magnificent new Clubhouse [open 2016], with changing rooms, club storage and restaurant, new car park. Full practice facilities and buggies. Our view: Now restored to Harry Colt’s original design, La Mer is one of the ‘must play courses’ and challenges the best golfers, especially from the back tees. Only one, fleeting, sea view! Amidst protected dunes and natural woodlands, a real treat awaits at this modern course. Facilities: Small clubhouse building with changing facilities. Food and drinks, terrace in summer. Full practice facilities. Few buggies. Adjacent swimming pool complex. Our view: Most visitors love Belle Dune. It is one of the ‘must play’ courses. Always in good shape and the setting is pretty. Can be very busy. Some long walks green to tee. 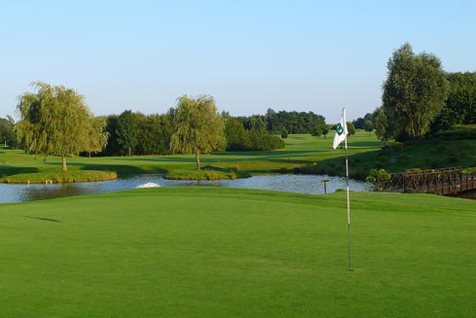 Two great 18 hole courses, south of Brussels. Offer super environment and delightful clubhouse. Landscape: Rolling parkland, set within a mature forest. Description: Designed by M. Hawtree in 1988. Wide fairways, large greens. Facilities: Impressive white- washed walls form courtyard around which all the club's buildings stand. All you need is here, including clubhouse restaurant, terrace and meeting rooms. Full practice facilities, too. Our view: A good course, but perhaps not quite as challenging as the American course. Landscape: Parkland, with numerous lakes. Description: Undulating and and makes the very most of the landscape. Upgraded by Alliss & Clark in 1991. Facilities: Impressive white-washed walls form courtyard around which all the club's buildings stand. Lovely clubhouse restaurant, terrace and meeting rooms. Full practice facilities, too. 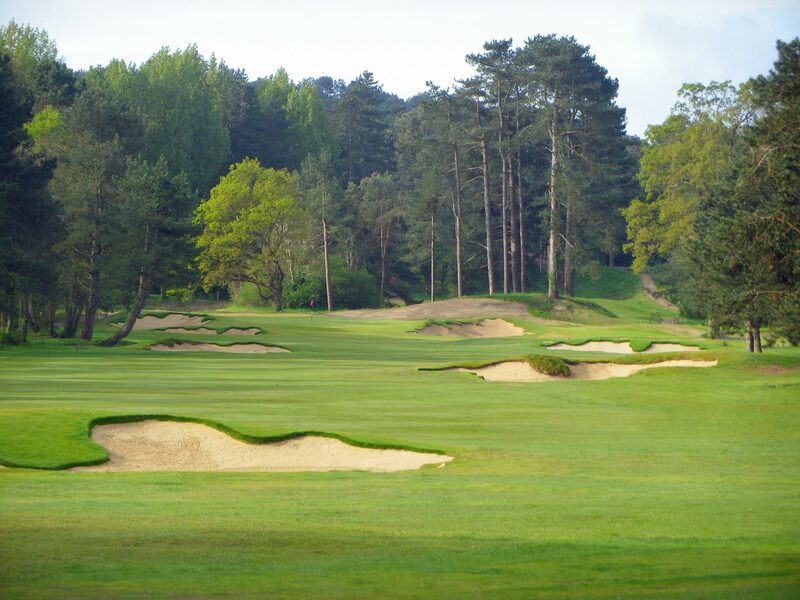 Our view: Has several ‘signature holes’ and as a customer favourite, on the ‘must play’ list. If you need assistance, or if you have any questions, you can get in touch with us, simply by calling either number, or via email.